This year, the IPL is scheduled to commence from 23rd March and the schedule for the first 17 matches has been released. RCB and CSK will kick-off the season this year and the match promises to be a cracker. Both teams are known for entertaining the fans. 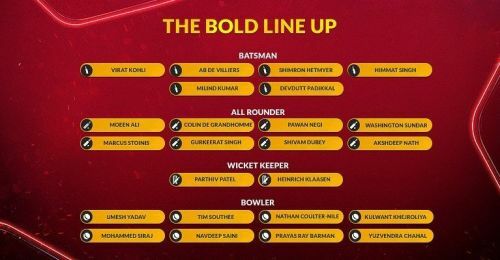 This year RCB have added a lot more depth to their squad with the purchase of a few exciting players while CSK decided to retain most of their players from last year. Despite RCB having some quality players in their bench this season, it still looks like CSK might walk away with the win. Here are three reasons why the defending champions are likely to overcome Virat Kohli's side in the season opener. A new season means new faces. This year, RCB were quite busy at the auctions and purchased some really good players like Shimron Hetmyer, Shivam Dube and Heinrich Klaasen. They even traded in some quality players from other franchises like Marcus Stoinis. While adding new players to beef up their squad is a good thing, RCB will need to experiment in order to get their combination right. They will certainly not have the perfect combination in the opening match as the management will be spoilt for choice. Do they go with 4 bowlers, 2 all-rounders, and 5 batsmen? or do they select 4 bowlers, 3 all-rounders, and 4 batsmen? These are just some of the questions that will need to be answered and it doesn’t look like Royal Challengers Bangalore will have all the answers ahead their opening match against CSK. On the hand, CSK barely added any new faces to their squad. In fact, they just purchased two players – Mohit Sharma and Ruturaj Gaikwad. This means that they haven’t released any of their big players and have the same playing XI as last year’s final. 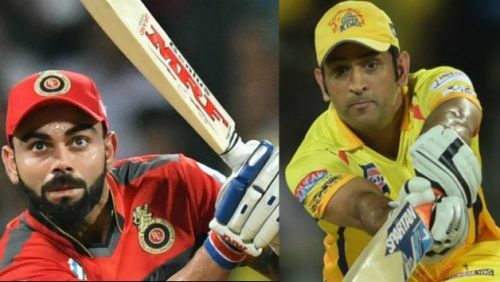 When it comes to choice, MS Dhoni & Co. already know the combination they should opt for ahead of their match against RCB.